Two weeks ago, I was in Hawaii. I first visited Honolulu and enjoyed the busy-ness of the the island paradise along with the remarkable Waikiki Beach. My hotel, the Hilton Hawaii Village Resort, was bustling with activity, much like a small city, as tourists relaxed, dined and were transported to and from island attractions like Pearl Harbor, Diamondhead and more. I heard that Hawaii ran on island time, and this resort seemed to revolve at a special pace. The next and final stop in my island adventure was the big island of Hawaii, carefully chosen because I wanted to see the volcanoes in Volcanoes National Park. What I didn't realize was that although the island of Hawaii is approximately 230 miles in circumference, or what might be a 3-4 hour drive in total, getting around the island is much more difficult. On this island, island time means slow, slow, slow because you just can't get from here to there, or Kona to Hilo, without circling that big expanse. Slowing down has its perks. For visitors to the big island, the slow pace of the drive leads you through lava fields, ranches, tropical rainforests and valleys of indescribable, untouched, rolling green fields all while viewing the incredible sand and waves of the Pacific Ocean. Beauty surrounds you, in so many forms; but to take it all in, one must relax and open their mind and heart to the experience. One can't be rushed to get to Mt. Kilauea for to do so would mean that you miss the small attractions along the way where the culture of island life plays out. As one slows down, they understand that their visit to Hawaii can make them an optimist because it is difficult to view the awe and wonder of nature without a sense of hope. Working with an Optimist Club provides a sense of hope for we work to bring out the best in children. With projects, big and small, we share optimism with those around us today and help future generations adopt a similar attitude so they may also share optimism. A sense of optimism develops when you look for the beauty that is all around you. Look for the potential and nurture it; join an Optimist Club and bring out the best in youth, your community, and yourself. Find an Optimist Club here or contact me and I will help you start a new Optimist Club in your community. Nothing is better than fishing with children unless it also involves an Optimist Club and the beauty of a Florida beach. The Cocoa Beach Optimist Club has been delivering a priceless family experience to the Space Coast community at Port Canaveral for 32 years. 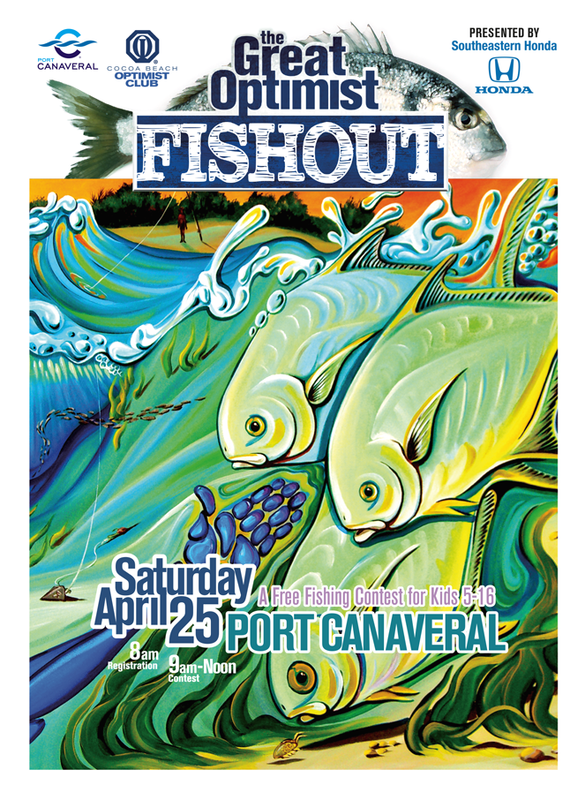 This year the Great Optimist Fishout takes place on April 25, 2015. Presented by Southeastern Honda, it will be another day for the memory books. Children in four age categories will vie for $600 in prize money for the top three biggest fish by weight in each age group. However a bigger prize awaits beneath the water. One lucky youth angler and his or her family could win a big catch of $10,000. A specially tagged fish has been released and is available for the catch. It is insured by the Cocoa Beach Optimist Club. See some photos and read more here about the Great Optimist Fishout. Right now is one of my favorite times of the Optimist International administrative year. It is when Optimist Clubs and Districts all recognize young people for their communications skills through participation in the Optimist International Oratorical Contest and Communications Contest for the Deaf and Hard of Hearing (CCDHH). In fact, I like it so much that I use Pinterest collect pictures from Optimist Club scholarship contests submitted to local newspapers and then posted online. This is one reason, among many, that Optimist Clubs and Districts should be diligent about submitting press releases and recognizing their deserving youthful winners. People like me might pick up the story and help amplify it through their own networks. A special post on Facebook caught my attention today. Posted by the Optimist Club of Barbados-Bridgetown, the young orators winning the Caribbean District Optimist International Oratorical Contest in 2015 were from Barbados. Congratulations to all. Yesterday, I read an article that claims acetaminophen depresses emotions. That's right, the little pill known as Tylenol, that is taken by so many and included in over 600 different medicines, may take away your happiness at the same time that it eases your pain. An optimist would ask, "Is that a good thing?" I think not would be the answer because, you see, optimism can also take away pain. By visualizing positive outcomes and positive attributes about oneself, a study has concluded that there is a causal link between optimism and lower pain sensitivity. In layman's terms, we call this hope. Why would someone need or want to take a pill when a positive, hopeful disposition would do as much or more? Part of the reason might be that pill-popping is an easy, quick fix; however, we must be careful of the long-term effects of any quick fix. What do we give up when we choose instant gratification? There are balances that must be weighed. Clinical researchers have started to create optimism training for pain intervention. This is a medical solution that may better be conducted by a community solution, namely, participation in social activities. My suggestion is to give a concentrated effort to participate in social activities that are known for their positive ideology. 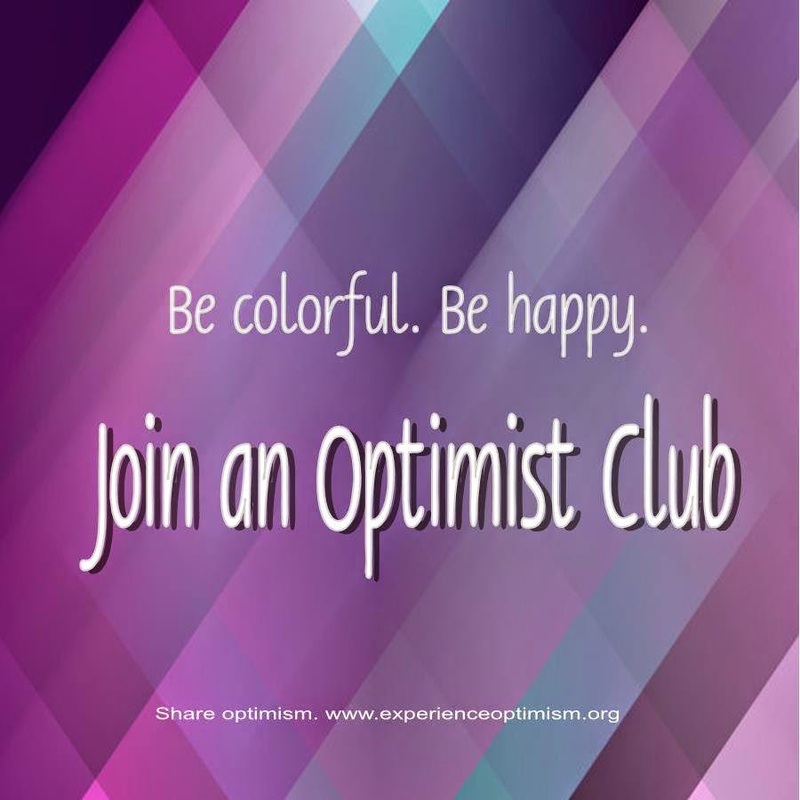 Join an Optimist Club and find others who are working on their positive mental attitudes and eliminating pain every day. 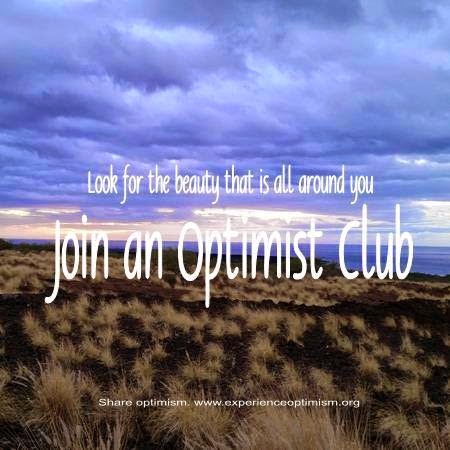 Find out how you can share optimism by joining an Optimist Club in your local community. If there's not a club near you, please contact me and I'll help you start a new Optimist Club in your home town. I doubt there is anything more fun than the 60 seconds following the horn that blows to start an Easter Egg Hunt. Whether you call them a scramble, dash, roll or hunt, Optimist Clubs around the US and Canada get in the action to bring family-friendly cheer to their communities. It's just one way that Optimist Club members say, "We care." 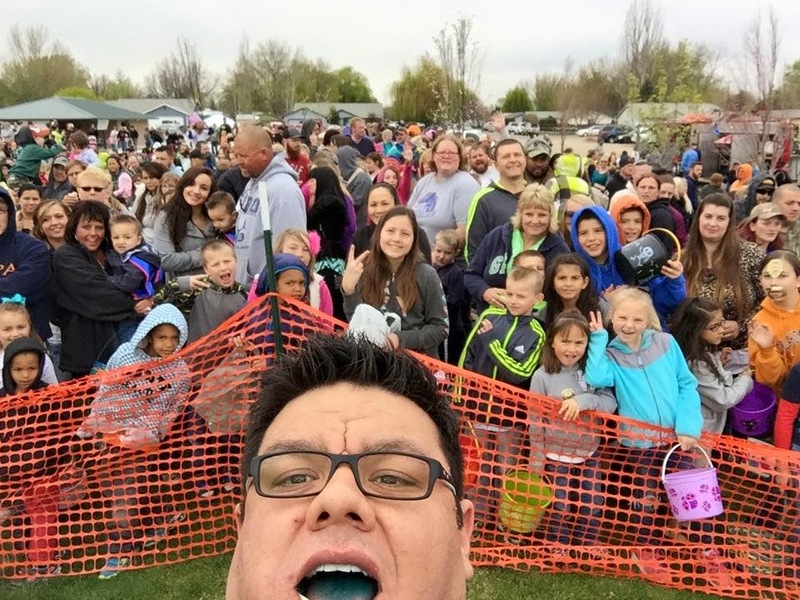 Shown here is Optimist Club member and Middleton Rural Fire District Community Relations Officer/Paramedic Victor Islas taking a selfie as he readies the crowd for the egg-off at Foote Park, Middleton, Idaho. On behalf of Victor and the Middleton Rural Fire District, and especially the Middleton Area Optimist Club, it my honor to wish you a Happy Easter. Labels: @midfire, @midoptimist, idaho, optimist club. The colorful and happy hibiscus is the token flower of Hawaiian shirts and surfboard couture around the world. 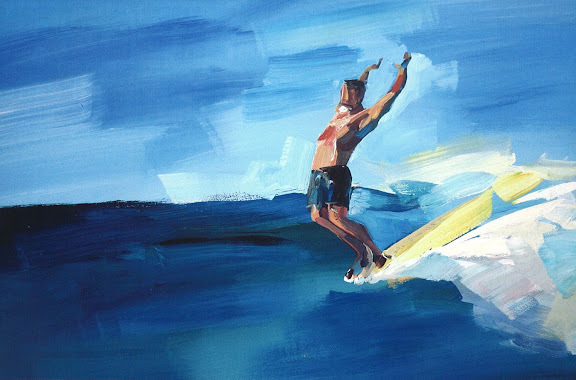 Nothing says positive mental attitude - PMA - more than the surfer move of hanging ten. To hang ten means that the surfer has positioned the board in such a way that the back of it is covered by the wave and freeing her to walk to the front of the board to hang all ten toes over its nose. Sounds exhilarating; don't you think? However the true exhilaration comes from the belief that one can do it - catch a wave, and ride it with skilled, but reckless abandon. When one adopts a positive mental attitude they free themselves from the skepticism that would otherwise hold them back from big and small risks. It provides freedom and hope. 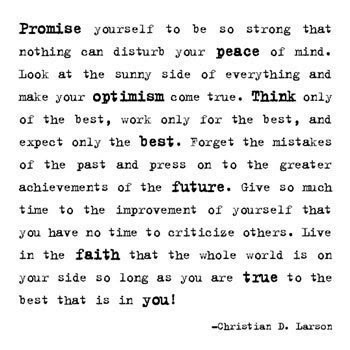 As a member of an Optimist Club, I work on keeping my positive mental attitude. There are many challenges that may distract us every day. Simply opening email or answering the phone brings the outside world into our home and interaction requires preparation and thoughtfulness. Without both, we might snap at those who want to wish us a happy day instead of wishing them a good day in return, but my optimism prevents that from happening. Sharing optimism is a noble pursuit. Sharing a positive mental attitude should be everyone's purpose in life. Think how peaceful this world could be! 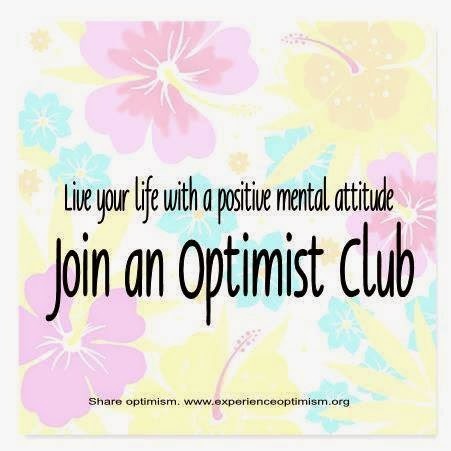 If you are ready to develop and keep a positive mental attitude, I recommend joining an Optimist Club. Click here to find an Optimist Club near you or contact me and I'll help you start a new Optimist Club in your community. What's an Optimist Oratorical Contest like? The Optimist Club of Southfield-Lathrup, Michigan has completed its Optimist Oratorical Contest for 2015. District Governor Cheryl Thames was on hand to congratulate the winners, and as she has done all year, share what being part of an Optimist Club is all about. Please enjoy the video and learn why you should join an Optimist Club today.